When the family of Vietnam War veteran, anti-war activist, and writer Jeff Sharlet approached The Iowa Review about conducting a commemorative writing contest for veterans and military service members, the editors were uncertain whether they would be able to solicit much response from writers. 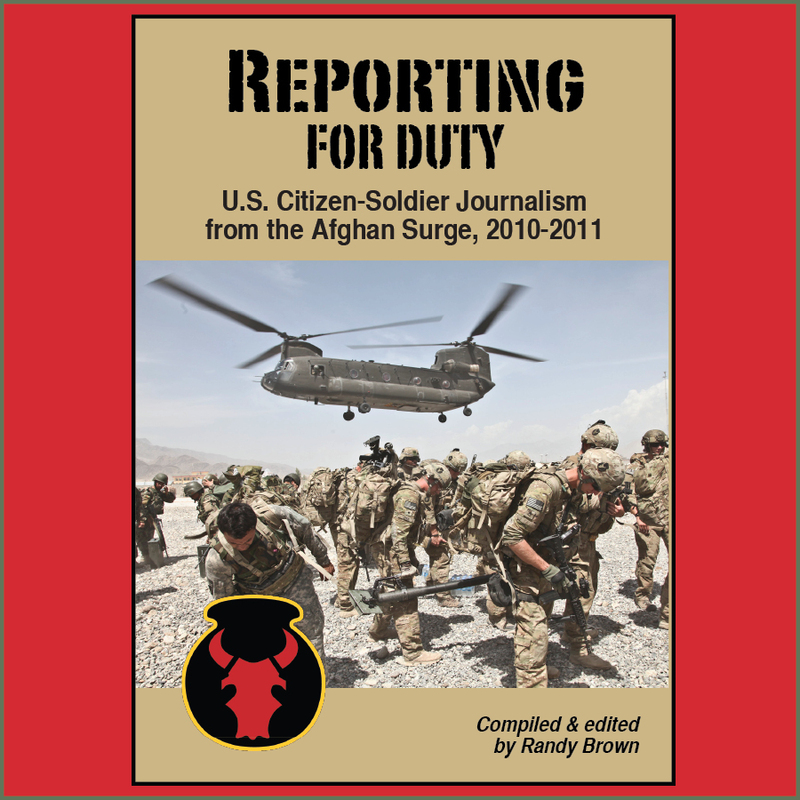 The editors eventually received some 268 entries—fiction, non-fiction, and poetry—a virtual wave of papers that nearly overwhelmed the staff during the blistering summer of 2012. 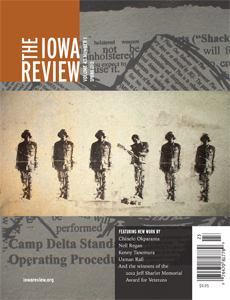 The Spring 2013 issue of The Iowa Review features the work of those writers who submitted to that first contest. Eleven poems of 2013 Jeff Sharlet Memorial Award for Veterans winner Hugh Martin, an Iraq War veteran, are presented, including two that are available on-line: "Ares" and "Memorial Day." In addition to a 2010 chapbook, Martin has published a 2013 poetry collection titled "The Stick Soldiers." We know return is one of the most powerful themes in all storytelling, that the memory of what is still or perhaps no longer there intensifies when one is here, and the projected possibilities of what was there then make what is here now radiant, or excruciating, or both. We know how the distances, imagined or real, physical or temporal, both separate and unite in such stories, and how our sense of what we can or should do now or tomorrow turns out so clearly contingent on who we find ourselves with, where, when, and, then again, sometimes on none of that, and nearly on nothing at all—a glitch, a harsh word, a miscue, a silly thought, the whims of the gods. We know such stories have been with us for a very long time, and that they show us how little our choices can mean in some circumstances, and how much they can mean in others. 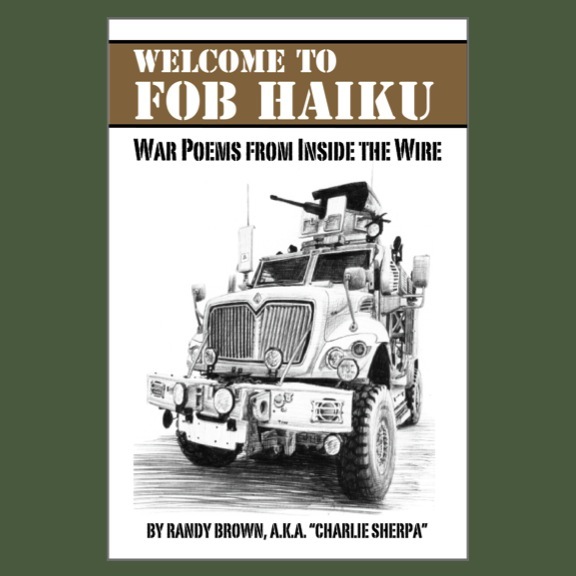 "With veterans and non-veterans writing in such overlapping ways—about home, technology, power, peace and violence, intimacy and estrangement," he concludes, "we realize how much war and the legacy of war shape us all." The issue's cover features the work of The Combat Paper Project. The 3,000-circulation publication is produced in Iowa City, Iowa, a UNESCO City of Literature, and home to the University of Iowa and the Iowa Writers' Workshop. 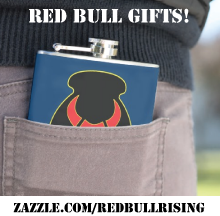 Subscriptions are $25 per year, $45 for two years, and $60 for three years (add $15 postage per year for foreign addresses). The Sharlet family provided seed money for three annual contests of military writing. Announcement regarding this year's contest, including rules and deadlines, is pending.